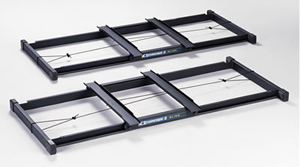 Concept2 indoor rowers and ski ergometers are manufactured in the United States, qualifying them for GSA open market purchase under the Buy American Act and priced to fall within Government Purchase Card (GPC) spending allowance limit. The Concept2 Black Model D Rower is extremely popular in both CrossFit and military installations. Let Ironcompany® save you time and money by packaging your new Black Concept2 rower with other fitness specialty items such as kettlebells, heavy ropes and wall mounted pull up bars. Concept2 Model D Indoor Rowing Machine - The dependable performance of our Model D Indoor Rower has made it the best selling indoor rower in the world. Recognized by competitive rowers as the standard for indoor training, the Model D delivers an effective cardiovascular workout that will increase your fitness level and tone your physique. At a fraction of the cost of other home fitness equipment or a yearly gym membership, you can have the luxury of working out in your home whenever you chooseand get a great workout to boot. We value practical design: our Model D is efficiently engineered and will last a lifetime. The Model D you buy is the same machine used by Olympic- and elite-level athletes to train for their sportitll take the abuse of heavy training day after day. If youre looking for a solid piece of exercise equipment at a great value, the Model D is the perfect choice. The Model D now comes in two different colors, either light gray, the same as the Model E and Dynamic Indoor Rower, or black. Compact storage: Machine separates easily into two parts for transport and storage. Shipping Dimensions (boxed): 56" x 21.5" x 15"
The Slide is an accessory for all models of indoor rowers that adds the on-water feel to indoor rowing and allows for use of the indoor rowers in a team setting. Each Slide consists of a base with two tracks and a carriage with wheels that run on the tracks. Light bungee cord tension keeps the carriage centered on the base. It takes two Slides to "float" an indoor rower - one Slide for the front leg and one for the back leg. 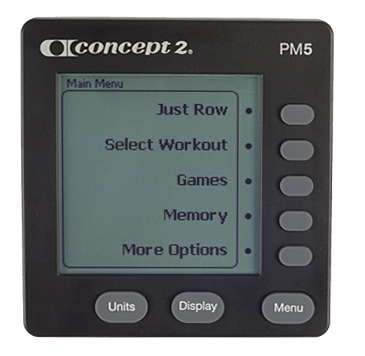 To create a team boat (Models C, D, and E Indoor Rowers only), add one more Slide for each additional indoor rower you would like to link. Space needed for an indoor rower on a pair of Slides: 12' x 4' Note: The Single Rower Slide will work on Models A, B, C, D and E. The Team Boat Slide will work only on Models C, D and E.
,Note that you will probably sweat more at a given output level on the Slide because your body is stationary. This means there is little air movement around you to evaporate perspiration.